Advantages of Flexible, Stand-Up Pouches Over Traditional Packaging Options - Polymer Packaging Inc.
Massillon, OH—Many of today’s shoppers prefer flexible, stand-up pouches over traditional, rigid packaging. 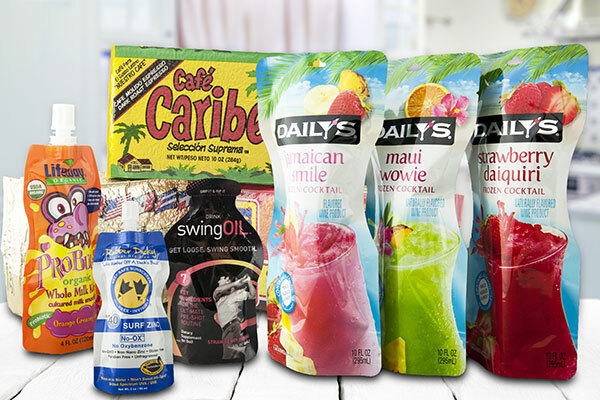 Consumers have driven demand for stand-up pouches exponentially over the past decade, whether for snack foods, beverages, baby food or industrial oils and lubricants. Polymer packaging is at the forefront of converting rigid packaging into flexible stand-up packaging in a variety of configurations. As a leading supplier of flexible packaging solutions for the consumer products industry, Polymer Packaging offers numerous stand-up pouch options in all shapes and sizes, to suit any barrier requirement and with ancillary items such as spouts, rails and closures. As proven by consumer demand, stand-up packages are highly preferred because they fit today’s convenient lifestyle. Consumers find that stand-up pouches dispense product more easily. Pillow packs don’t have the stand-up store convenience of a stand-up pouch, and they don’t spill. "Marketers prefer stand-up packages because they improve visibility and differentiate products from the competition," said Larry L. Lanham, CEO. "Packaging which lays flat on shelf doesn’t have the ability to stand out like stand-up packaging." Retailers appreciate that stand-up flexible packaging leaves a smaller carbon footprint and reduces overall shipping and logistics cost over rigid packaging. From a marketing perspective, the stand-up pouch is a dream come true, offering brands the ability to differentiate through seemingly infinite printability options and the ability to offer many different and convenient re-sealable closures. Furthermore, the application of specially designed laminates means that pouches can offer retort properties, making it a real alternative to metal and plastic rigid enclosures. More and more, consumer and commercial goods manufacturers are shifting focus away from more traditional, rigid packaging options. Stand-up pouches continue to push the boundaries of what is possible in packaging with new functionality being developed at a very rapid pace. Additionally, retort pouches can be manufactured in numerous sizes and shapes. Selection of the correct packaging material provides superb product protection, optimal chemical resistance, oxygen barrier, easy open and reclose, excellent consumer storage, the ability to microwave and many more features. At Polymer Packaging, our extensive experience in the production of multi-layer barrier laminates for food products, coupled with demand from the market, means that our pouch products are often used as modified atmosphere packaging. A standup pouch can drastically increase shelf life and reduce food waste. Virtually every type of business can benefit from stand-up flexible packaging. If you are looking to achieve greater efficiencies from your flexible packaging or looking to convert from rigid to flexible, contact Polymer Packaging today to learn how fast you can get your product to market. For more information call330-359-1421 or visit www.polymerpkg.com/polymer-packaging-inc.
Stand-up pouches offer a variety of benefits over traditional rigid packaging and pillow packs.